I have discovered the True Pentagram. 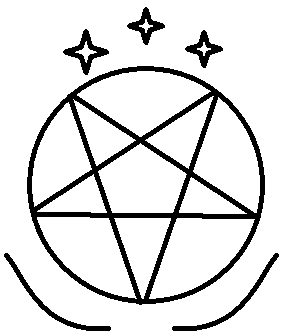 The Exalted Pentagram. 3 stars representing the Deities. 36 bends. With the circle bend representing Lucifer the God Emperor of The Gods. Representing 36 Gods with 3 of them being Deities. This represents Archspace with hyperspace lines being reset.